Matthew Miller was born in West Chester, Pennsylvania on June 30th 1979, corresponding to the Jewish date of the 5th of Tamuz 5740. Shortly after his birth, the Miller family moved to Berkeley, CA and eventually settled in White Plains, NY. Growing up, Matisyahu's parents sent him to Hebrew School a couple of times a week, but like many kids, he resisted the additional school hours and was frequently threatened with expulsion for disrupting the lessons. By the age of 14, Matthew Miller slid comfortably into the laid-back lifestyle of a teenage hippie. Having fallen in with the "Dead-Head" crowd, he grew dreadlocks and wore his Birkenstocks all winter long. He played his bongos in the lunchroom and learned how to beat-box in the back of class. By 11th grade, despite his carefree days, Matisyahu couldn't ignore the void in his life. After nearly burning down his chemistry class, he knew his mission must begin immediately. He decided to set off on a camping trip in Colorado. Away from his suburban life in White Plains, Matisyahu had the opportunity to take an introspective look at himself and contemplate his environment. It was there in the awe-inspiring landscape of the Rocky Mountains that Matisyahu had an eye-opening realization: there is a G-d.
After Colorado, his spiritual curiosity piqued and Matisyahu took his first trip to Israel. There, for the first time in his life, he felt a connection to the G-d he discovered in Colorado. Israel was a major turning point; Matisyahu relished the time he spent there, praying, exploring, and dancing in Jerusalem. In every nook he encountered, his dormant Jewish identity stirred into consciousness. Leaving Israel proved to be a difficult transition. Once back in White Plains, Matisyahu didn't know how to maintain his new connection with Judaism. Feeling dejected, he fatefully dropped out of high school and began following Phish on a national tour. On the road, Matisyahu thought seriously about his life, his music, and his thirst for Judaism. After a few months, burnt out and broke, he returned home. By this time his parents insisted that Matisyahu go and "straighten" himself out at a wilderness school in Bend, Oregon. The school encouraged artistic pursuits and Matisyahu took advantage of this time to delve further into his music. He studied up on reggae and hip-hop. He attended a weekly open-mic where he rapped, sang, beat-boxed, and did almost anything he could to stay creatively charged. It was then that he started to develop the unique reggae-hip hop sound for which he would one day become known. While studying at New School, Matisyahu wrote a play entitled "Echad" (One). The play was about a boy who meets a Hasidic rabbi in Washington Square Park and through him becomes religious. Shortly after the play's performance, Matisyahu's life strangely imitated his art. Indeed, years after the initial sparks were lit, Matisyahu met a Lubavitch rabbi in the park, spurring his transformation from Matthew to Matisyahu. A person who was once skeptical of authority and rules, Matisyahu began to explore and eventually fully take on the Lubavitch Hasidic lifestyle. He thrived on the discipline and structure of Judaism, making every attempt to abide by Jewish Law. The Chabad-Lubavitch philosophy proved to be a powerful guide for Matisyahu. It surrounded him with the spiritual dialogue and intellectual challenge he had been seeking for the past decade. 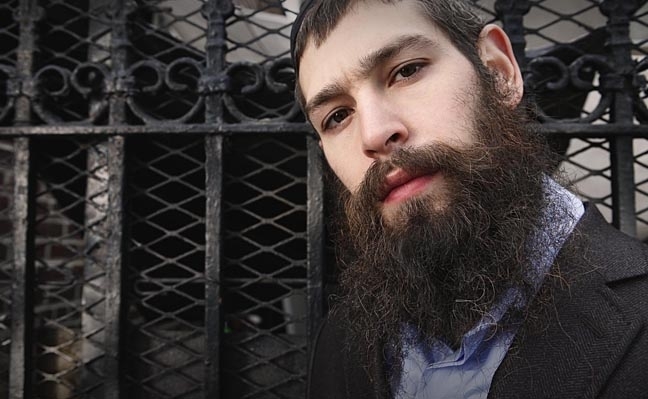 The turmoil and frustration of his search subsided, and now, 2 years later, Matisyahu lives in Crown Heights, splitting his time between the stage and his yeshiva. "These are the two things that are closest to me and who I am," Matisyahu says. "I've always wanted to make music. And in the last 10 years, I've had a very strong connection to Judaism. Once I became religious, all the parts of my life were united. Everything became holistic. And music is a big part of that." Drawing on influences such as Bob Marley & Phish, Matisyahu delivers a sound which distinctly speaks from the heart. Combining reggae and hip-hop, anchored with the vocal stylings of Rasta roots and Dub, here is a sound which can embrace and resonate to all mankind. Based in Brooklyn, New York, this young man in traditional payos (side curls), black hat and long beard, has packed out venues such as the Mercury Lounge, Knitting Factory and Southpaw. In a world where global boundaries are now limited simply to geographic distance, Matisyahu represents the ultimate in global fusion and the next wave of contemporary music and meaning. Matisyahu has gained respect from the hip-hop and reggae communities alike, by stepping up with solid rhyming and writing skills, and a honed stagecraft. Majority of his songs are completely in English with a few words of Hebrew and Yiddish weaved in. He convincingly melds Jamaican roots rock with messages of spiritual uplift, rapping and singing over reggae riddims intermixed with ancient Jewish melodies. ‘Live at Stubb's’ - Matisyahu’s 2005 concert CD, (Sony), claimed the top spot on the reggae chart for six straight weeks when it was released in the US, selling more than 500,000 copies. This live recording is the first chance Australia will have to sample Matisyahu and appreciate the extent of his abilities. The release combines Matisyahu’s polished rhyming style with deep lyrics about life and Hasidic meaning. This music is for anyone who breathes. The honesty and vitality which is born through Matisyahu’s music is undeniable, unfeigned and inspirational. Matisyahu looks to bring his booming sound of faith to Australia later in 2006. Until then, the ‘Live At Stubb’s’ album gives us all the hope and spirit one could expect from such a unique individual, who through his religion, musical passion, and experiences, has created a sound that is especially unique and true to his beliefs.